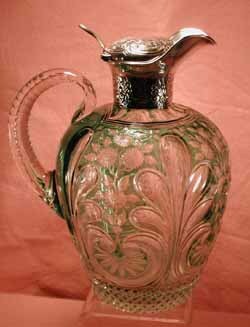 With Art Nouveau silver mount, marked N&W for Norton and White, c 1887, 9in (23cm) high approx. 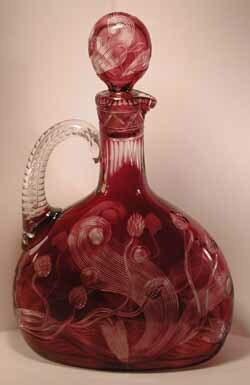 of flattend bottle form, the purple/red body cut to clear with clover flowers and swirling grasses, Stourbridge, c.1895, 10 1/4in (26cm) high. 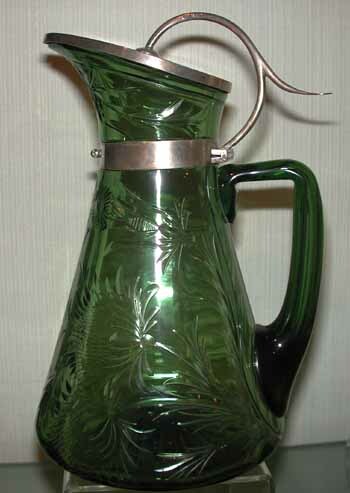 silver mounted, the oviod body of pale green cut to clear with leafy fronds, florets and 'c' scrolls, the silver hallmarked for 1896, 7 1/4in.